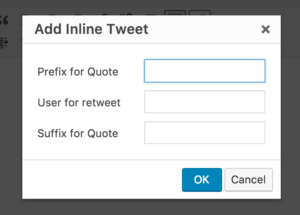 Today I’m delighted to announce that – following some development time and liaising with the community – one of my more popular plugins, Inline Tweet Sharer, has been upgraded to version 2.0. 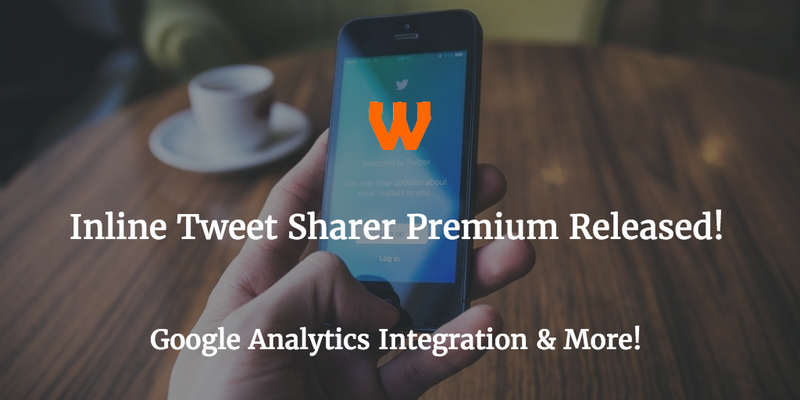 And I’m happy to announce that at the same time, Inline Tweet Sharer Premium has been released! You can create campaign variables in Google Analytics. 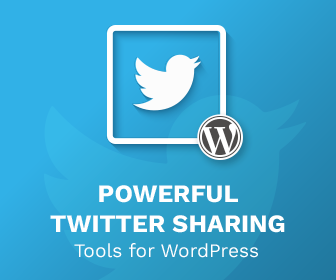 What this means is you can add to the end of the URL sharing various variable such as campaign and source. 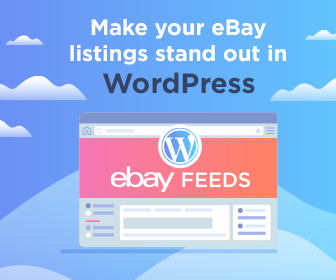 This will allow you in Google Analytics to track how many visitors come not just from Twitter, but also from the exact link from the exact page if you wish. This will allow you to see exactly what is working from your social media marketing, and work to replicate it. As well as the premium version, we’ve also made a change to the free version. Previously Inline Tweet Sharer’s user interface was unwieldy. You had 3 popups asking various things, which wasn’t great to use. Now everything is in one dialog box, which makes it a lot easier to use, and doesn’t cause as many issues with popups. Internally we’ve also restructured the plugin so it’s a lot, lot neater.